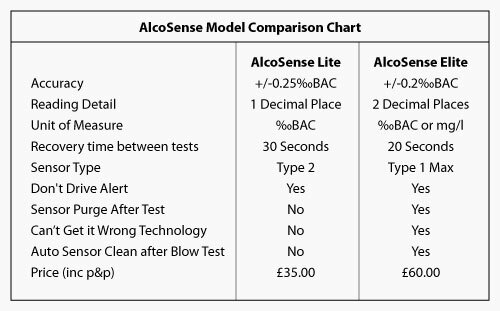 The multi award-winning AlcoSense Elite Breathalyser has been upgraded and now has the ability to be set to any UK, Irish or European limit. This easy to use breathalyser measures how much alcohol you have in your system in either mg/litre of breath or ‰BAC (per/mil blood alcohol concentration) in increments of 0.01. With the ability to be recalibrated for years of use, the Elite Breathalyser will keep you and your pupils safe. When instructing/driving in UK, Ireland & Europe the AlcoSense Elite 2 Breathalyser is a sensible gadget to have on you to make sure you don't risk your license or ADI badge. AlcoSense Elite 2has been designed to be as easy as possible to use and designed to fit in the palm of your hand. 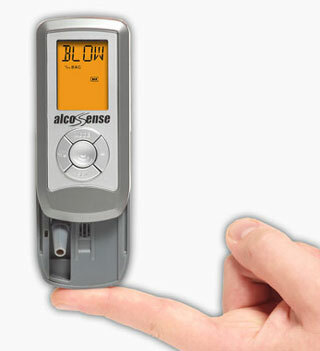 To activate the breathalyser all you do is slide the AlcoSense open. Once open it prepares the sensor and the screen will show a count down from 19 to 0, then it will display Blow. When it says blow, blow through the tube for approximately 5 seconds until it beeps. AlcoSense Elite is designed for the highest levels of performance and is ideal if you depend on your licence for work or wish to get the best protection possible. If you are looking for a reliable system which will give you a good guide to your blood alcohol level AlcoSense Lite is a great choice if you are on a budget. "With the agreement of my pupils I've said that I would test any pupil who I felt might be suffering the after effects of alcohol. I met one pupil, who had cancelled a lesson about two hours earlier. He asked if he could check to see if he was near the limit, It was 11.30 in the morning and he tested positive. He admitted that had I not had the AlcoSense he may well have turned up for the lesson. Other friends have tried it ‘The Morning After’ and been amazed that they are near or over the limit."